The early 2000s created a boom of both public and private wireless projects throughout the U.S., but many struggled with unrealistic expectations and flopped. Successful muni wireless networks transformed themselves, adapting to the changing needs of the communities. Some, such as Sandy, Oregon, have transitioned to Fiber-To-The-Home (FTTH) networks where the high-speed fiber-optic cable is hooked up directly to the home. Others repurposed their networks to provide other needed services -- like in Lompoc, California. Lompoc transformed its $4 million muniwireless network, LompocNet, into a full-fledged Broadband Utility. Originally, the city council hatched the idea of a subscriber-based Wi-Fi network, but times changed quickly. Now, the Broadband Utility primarily provides much-needed internal connectivity for city services. In this small city of about 42,000 people, the Broadband Utility operates a Wide Area Network (WAN) for municipal services. The electric and water utilities use the network for their smart-meters, which automatically provide usage information to the city utilities. Police video cameras transmit their feeds across the service, improving public safety. The Broadband Utility also provides the city’s phone and data services, and and has begun to connect some municipal buildings with fiber-optic cable. 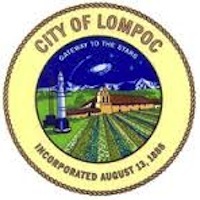 The Broadband Utility’s role has increased in importance; Lompoc’s franchise agreement with Comcast expired at the end of 2014, so now the Broadband Utility is beginning to function as an Institutional Network, connecting public buildings. Lompoc’s approach to broadband may seem inverted to those used to the concept of incremental build-outs, but it worked for the city. In an incremental build-out, a small section of the network is built for a specific purpose and the revenues from that section pay for the next expansion. Lompoc decided to do the opposite: blanket the city completely and immediately with low-cost Internet access via Wi-Fi. More than 10 years ago, in 2002, Lompoc faced a common, but frustrating problem – Comcast’s services. Comcast was slowly rolling out DSL in the community, but the cost of cable TV services still seemed too high to the city council. The Mayor Pro Tem at the time, DeWayne Holmdahl, traveled to Florida with the city manager to a municipal broadband conference to explore solutions. Inspired by the stories at the conference, they returned with an idea: a municipal utility for cable and Internet services. The FTTH project would be city-wide and include triple-play: phone, TV, and Internet. The Wi-Fi plan would blanket the city with affordable basic Internet access. According to Holdmahl, the city council recognized that the FTTH project would be too costly. Although a Wi-Fi network could not provide triple-play services, the network could still serve residents. Technical problems delayed the network from taking off with residential users, and the network languished until the end of 2007. Then Richard Gracyk came on as Broadband Services Administrator changing the network’s technical management system. The number of subscribers quickly leapt to about 1,000 and plateaued. After the city spent $4 million to construct, operate, and maintain the network, the project was declared 'revenue neutral' in 2012, and LompocNet could begin to recoup its investment. Generating revenue from the network now looked promising. Although the Broadband Utility has started to focus more on city services, the residential program is still robust. The network has about a 1,000 customers a month - LompocNet does not use the term "subscribers." The residential Wi-Fi requires no contract. The Internet bill is added to their city utility account - an easy, all-in-one payment. People are not locked into the service, but have the option to use it as needed. The services they offer have expanded since the early days of the network. The technology has grown more extensive as the Broadband Utility uses a blended network of different equipment and providers. Offering three tiers for residential users (ranging from $15.99 - $35.99) and base-level packages for visitors (from $4.99 - $9.99), the network appeals to cord-cutters (people who want to move away from subscriptions) and lower income people, priced out by other Internet services. Former Mayor Pro Tem, and current city councilmember, Holmdahl explained that he has been a loyal customer of the Broadband Utility since its inception. He uses it for both his home and for his business as a travelling notary, saying “it works just the way we like to have it work.” That’s the key to any successful program: it works just the way the community likes it to work.